Google pixel 3 and Google pixel 3 XL is very amazing from the processor and speed. That’s why we can access two application side by side smoothly. 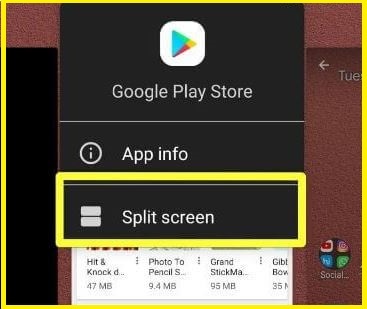 In that, we should try and use split screen that converts you are single mobile screen into half of the screen or customize the size of the screen. Here I am showing you how to enable split screen using gesture on Google pixel and pixel 3 XL. Split screen is really amazing we can use and watch two applications of a glance that might be your remote camera app, social chatting and messaging app, some games and Browser, or mail app. Right now most of the application is supporting split-screen mode on Google pixel 3 XL and pixel 3. Because of there is no any declaration about the apps of the list that excluded from the split screen features. 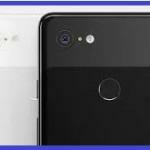 Don’t waste time read them carefully all the tap and try convert into split screen on your Google pixel 3 and 3 XL. You have oneplus 6 mobile so you can also try slits me on that. And the multitasking and the app Switcher screen will show all the recent applications running on your Google pixel 3 and 3 XL mobile. Tap on the app icon, that you Tap on the app icon won’t open as a split screen. And select split screen option, at the same time select the another application from second window or another half of the screen. You can Move the bar to reset or change the partition size of the screen that divided into two. move the slider to top or bottom for the application you want to open onscreen. At the same time another application will be quite from the split screen. Hope you are using amazing features of Google pixel 3 XL and pixel 3, share your feedback about Split screen on Google pixel 3/ Pixel 3 XL in which applications are best for the split screen as well.